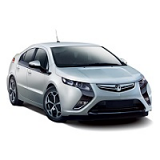 VAUXHALL AMPERA CAR COVERS. We have in stock in the UK indoor and outdoor covers for all models including Earth, Positiv, Electron and many More. Choose your car from below.